Whenever I’m in a charity shop, I always have a rummage through the selection of old ties. Having acquired a few of the things, I figured I should probably start turning them into stuff. 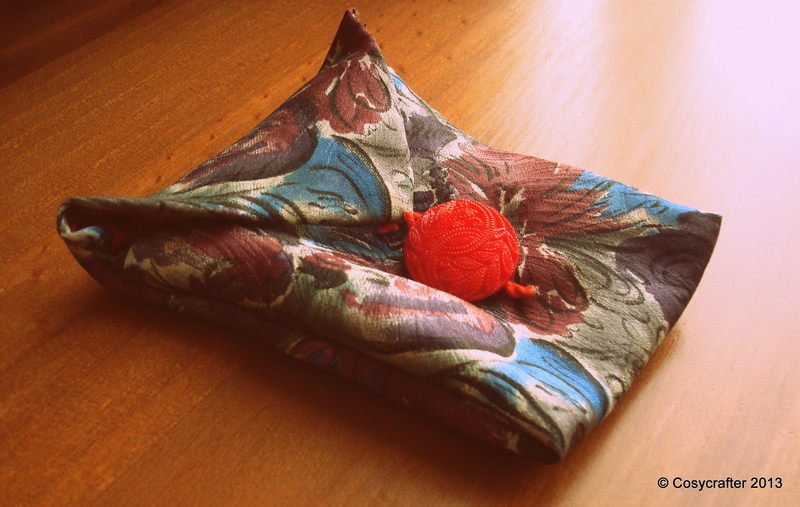 Posted in Fashion and tagged buttons, craft, customise, d.i.y, purse, recycled, sewing, ties. Bookmark the permalink. Posted in Fashion and tagged beads, cardigan, customise, sewing. Bookmark the permalink. Plain cardigans can serve a purpose, I’ll admit, but isn’t it much more fun to jazz them up a bit? Posted in Fashion and tagged beads, cardigan, customise, fashion, pearls, sewing. Bookmark the permalink. A spare room can be a deadly thing to the aesthetic of a house. Especially when it’s not really anything other than ‘spare’, ie, ‘themeless’. For instance, some may have a spare room as a study, a gym or even second bedroom (novel, I know). Unfortunately, our spare room is a collection of various different attempts to stop it being a spare room. First it was just the ‘junk room’, followed by an ill-fated attempt to make it into a ‘games room’. Then there was also the ‘music room’ idea. Next I attempted to commandeer it as a ‘craft room’. Finally, in a pitiful sense of irony, it returned to its original status as ‘junk room’. Posted in Fashion and tagged craft, customise, fashion, sewing, spare room. Bookmark the permalink. It's About Cards.. ..and little a bit More! About the gift of love and life and gifts for all the happy occasions the duo entail. Sharing the love of making stuff.